Sweet Couple Illustrations Capture the Essence of True Love in Everyday Moments – Sig Nordal, Jr.
December 28, 2017 December 28, 2017 Sig Nordal, Jr. If movies are to go by, you might think that true love is expressed through grand gestures or singing from the rooftops. However, real love is often hidden behind closed doors, away from an audience, and expressed during day-to-day, even mundane, yet intimate moments. Auckland-based illustrator and concept artist Lynn Choi captures these endearing moments of couples in love through her charming digital drawings. Often rendered in warm, cozy colors, Choi’s drawings illustrate the many relatable, loved-up experiences of a modern relationship. In one image, the artist’s characters are shown making breakfast together, wearing matching animal slippers, while the morning sun floods the scene through the kitchen window. In another, the enamored duo spends a cozy night in, pigging out in their pajamas, watching TV. 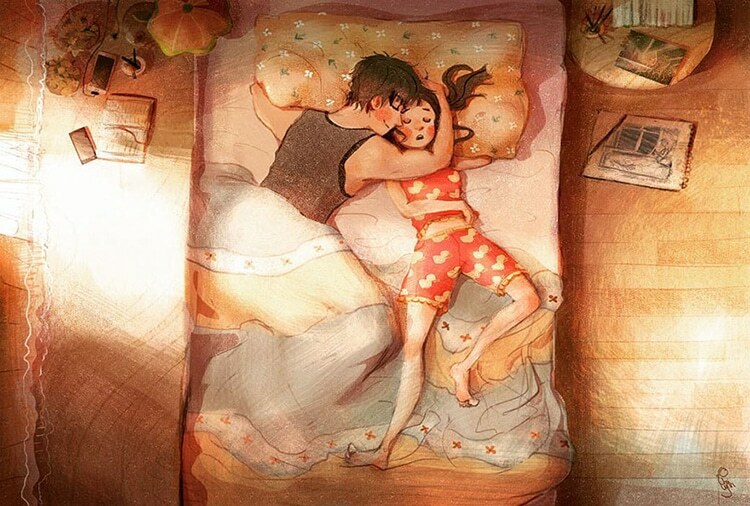 The illustrator easily captures the shared everyday experiences of couples in love. Choi even believes that “couples who feed each other at the same time will last forever.” This is aptly represented in one illustration in which the male character can be seen feeding his partner, while they both work at a candle lit table. Having just graduated from animation school, Choi aims to “work HARDER to warm your hearts with more illustrations next year!” As the series develops, so does the characters’ connection—we’re looking forward to seeing more endearing moments soon! You can find more of Choi’s adorable illustrations on Instagram. These illustrations by Lynn Choi perfectly capture the endearing day-to-day experiences of a couple in love. All images via Lynn Choi. The post Sweet Couple Illustrations Capture the Essence of True Love in Everyday Moments appeared first on My Modern Met. Previous Article Going to war under Trump’s so-called leadership is more terrifying than war itself. Life on earth is at stake.